Blooming, Buzzing Confusion is the first in a series of talks about the brain as part of the Life Science Centre’s Brainzone exhibition (an innovative and vibrant interactive exhibition that I’d also thoroughly recommend). 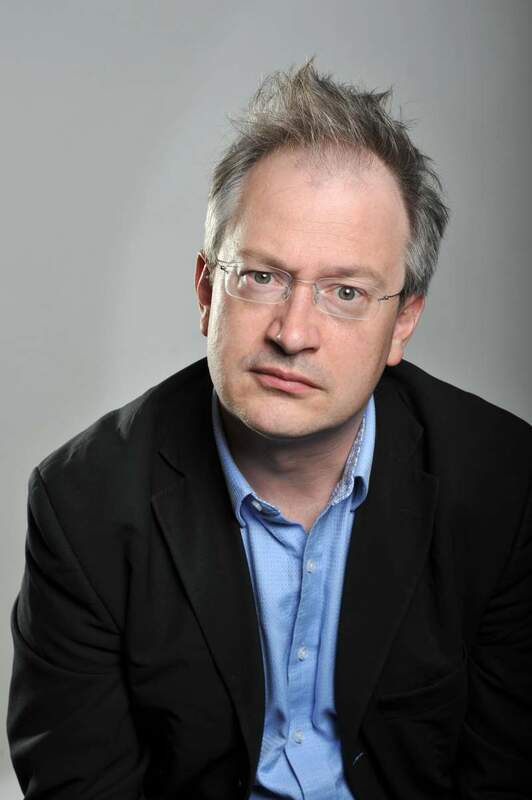 Robin Ince explains at the beginning of the show how he came to science through stand-up, and though he’s been doing a sort of amalgamation of the two for a while now, he hasn’t lost that beginnerish enthusiasm. He’s excited about what he’s talking about, and it makes us excited too. That’s not to say he comes across as amateurish, mind. He clearly knows his stuff, confident in his knowledge of the subject at hand as he is in his stand-up as he weaves in references to sciencey things of all levels of difficulty. Naturally he explains the main concepts, so it’s a totally accessible show, but if you’re a scientist and you came for “nerd humour”, you weren’t disappointed. It’s accessible in its inclusivity too, as he’s (refreshingly, for someone friends with Richard Dawkins, Ricky Gervais and other adherents to strict scientism) kind to religious groups and paranormal beliefs (and women). He recalls with unadulterated delight how Alan Moore, a self-proclaimed wizard, once beat Brian Cox in an argument on his radio show, and his digs at Brian Cox are gentle, lacking the meanness of your standard Brian Cox jibe, because they’re friends too, obviously. With a sense of inevitability, the show runs quite spectacularly over time, and at several points Ince has to skip through slides of material he hasn’t the time to cover. There’s not the remotest sense of resentment at this though, and to be honest it’s rather lovely that the show’s almost literally overflowing with enthusiasm. Plus, it’s fantastic value, as his is the best kind of fascination with the subject matter – the excited kind, that naturally inspires excitement in his audience. And he’s really, really funny. It almost feels a bit silly pointing it out, but Robin Ince is really good at jokes. His way with words that produces throwaway lines like “Chris Hadfield, being both Canadian and an astronaut, had never met Brian Blessed” is masterful, and his concepts, arcs and delivery are always bang on, and sardonic with just a touch of surreal, in a way that is quintessentially Robin Ince. He often follows up “wow” facts like explaining how the brain takes shortcuts with punchlines about them, and it creates a show that is a rich and vibrant learning experience as well as being comically brilliant.